Strings of Praise is a uniquely flexible collection for solos, duets, trios, quartets, quintets, sextets...and more! 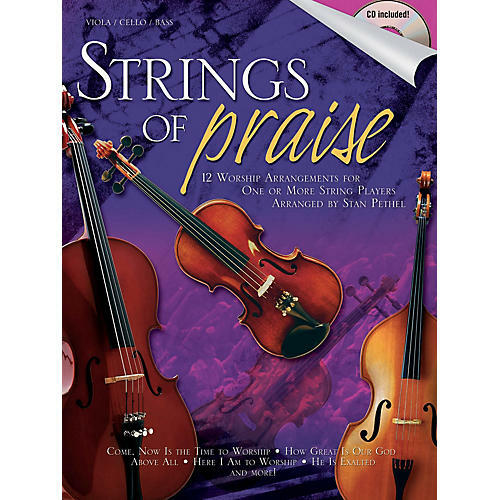 Each arrangement can be performed by one or more string instruments, or accompanied by piano using the book from The Winds of Praise, a companion series. Mix and match instrumentation according to your needs in any given situation, all year long in a variety of settings: worship services, Sunday school or at home. Stan Pethel's signature style of accessible, fresh arrangements shines through in each song making Strings of Praise an essential addition to your library for the advanced or beginning player alike!